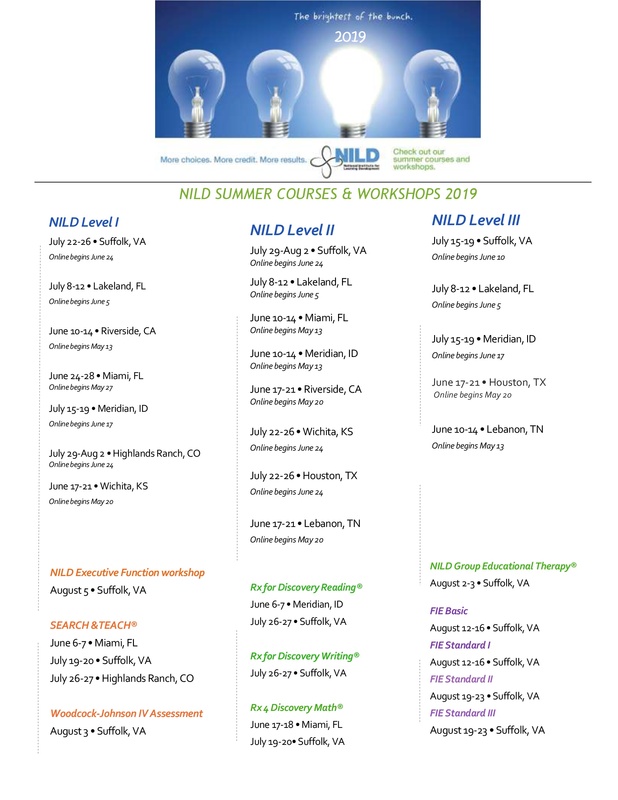 Summer 2019 Courses & Workshops are here! Please visit our master training schedule for more details & to register. We look forward to seeing you this summer! Register now for great discounts: $75 off level courses, $50 off FIE courses, and $30 off workshops. Discounts expire one month prior to start date (online start date for Level courses). Pricing and syllabi for these events can be found here. General Sessions 1, 2 & 3 from the Mid-Atlantic Regional Conference have been recorded and are available for purchase. These videos can be used as a substitute for the NILD Conference attendance requirement for PCETs and 2019 Level II and III course participants. Click here for more information. 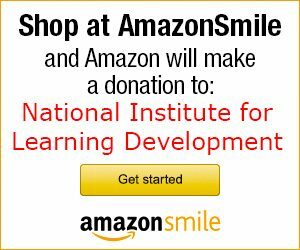 Click here to learn how to donate to NILD without costing you a penny! Renew your license before September 30th! Become a Professionally Certified Educational Therapist. 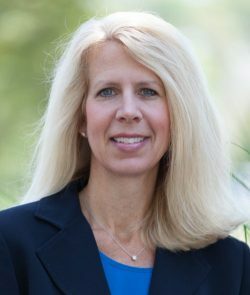 Learn how to unlock student potential through an individualized, therapeutic approach. Attend our research-based, graduate-level training courses to become an NILD Educational Therapist. NILD is always seeking to train more therapists to meet the high demand for educational therapy in schools and private practices worldwide. See where we are and take part in an NILD event near you! We offer training in many major cities. 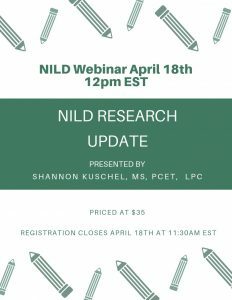 Review all of NILD’s upcoming training opportunities. Webinars are a fantastic, low-cost way to earn credit and get NILD certification without needing to travel. Join live webinars or purchased archived webinars. NILD is an international non-profit teacher training organization that builds competence and confidence for educators. Our methods were developed over 40 years ago and have worked to transform over 100,000 students worldwide. 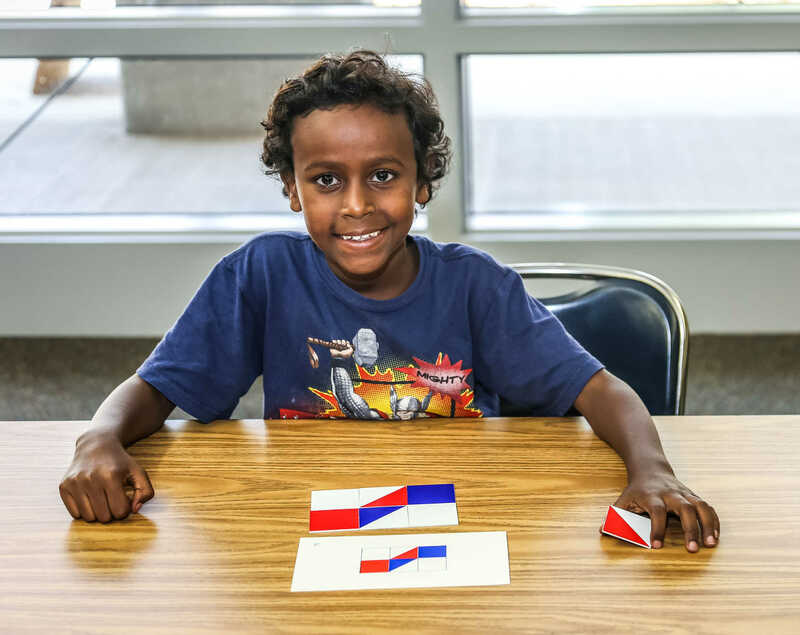 NILD is endorsed and accredited by leading experts and organizations in the field of education, and our methods are praised by parents, students and educators who have seen lasting results. In addition to providing accredited training to educators, we connect students to NILD-certified and licensed Educational Therapists and NILDinside schools. 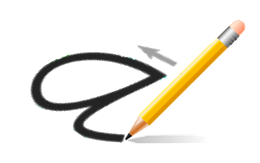 Exceptional school programs can be granted NILD recognition of NILDinside. An NILDinside school receives extensive support, and it demonstrates its commitment to excellent professional development for staff and evidence-based educational services for students.